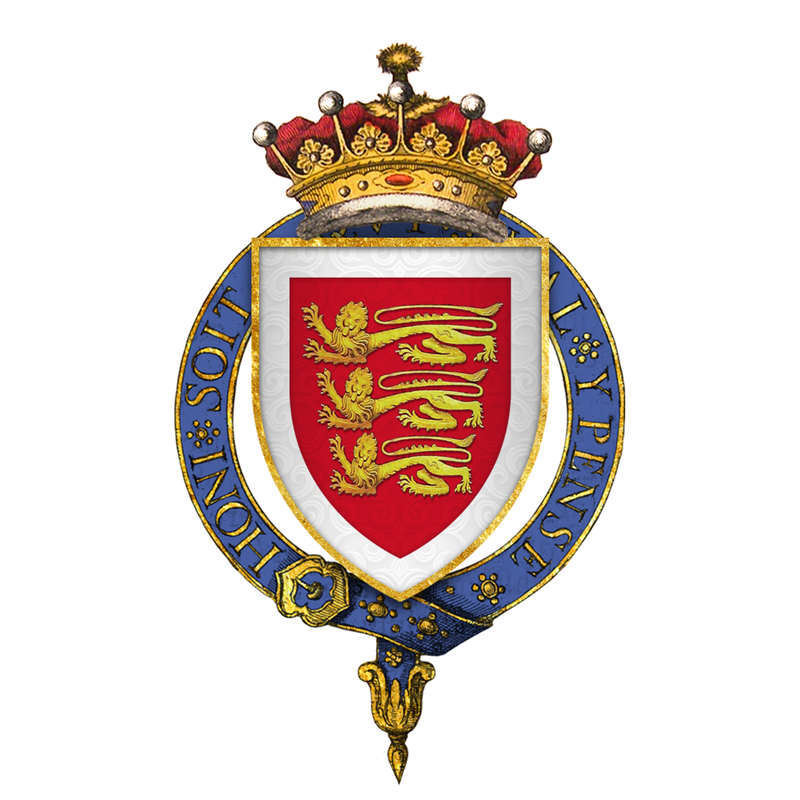 ‡ 29 Sep 1401, Westminster: Grant to the king's kinsman, Edmund de Holand, earl of Kent, in aid of his estate, of 200 marks yearly during his minority from the manor of Cotyngham, co. York. (CPR, Hen. IV, vol. 1, p. 425). In 1405, he and Thomas, the king's son, commanded an English fleet which sailed to Sluys and burnt four great ships. They afterwards sailed along the coast of Normandy, ravaged the country, and burnt 36 towns. In 1406 he sued John Cornwall, Knt., and his wife, Elizabeth, for the manor of Stevington, Bedfordshire under a grant of King Edward I to John Wake and his wife in tail. 1 Foundation for Medieval Genealogy, Medlands: Edmund de Holand. 2 Plantagenet Ancestry: A Study In Colonial And Medieval Families, 2nd Edition, 2011, Douglas Richardson, p. 323. 3 FindAGrave: Sir Edmund de Holand.